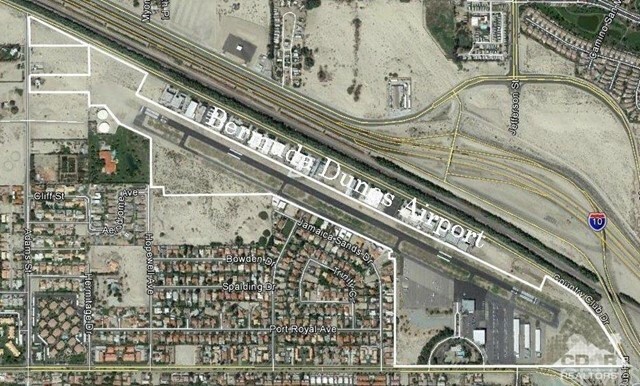 This is the largest single lot that has Airport access to Bermuda Dunes airport. It is also the lowest priced. Great place to build your home with your own private hanger. Imagine pack your bags, load the aircraft and take off. Land and taxi right up to your hanger. Bermuda Dunes Airport is a privately owned professionally operated general aviation full service airport with the friendliest staff to be found.